We are an eminent name engrossed in offering excellent quality Rubber Dispersion Kneader to our clients. We offer complete series of kneaders from lab to one twenty Liters production model in Rear change and front discharge type with hard faced rotors and chambers for longer life. These products are widely used for rubber processing and plastic industries, thus, are highly demanded by the clients. Equipped with automatic time and temperature control system, dispersion kneaders are known for providing cent percent mixing effect. As an unparalleled name engrossed in offering an excellent array of Dispersion Kneader. 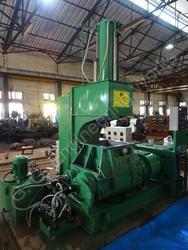 It is modern heavy duty kneader specially designed to produce uniform mixing and kneading heavier viscosity materials. It is suitable for many applications such as different kinds of dough’s, stiff pastes, adhesives, polyester compounds, flush colors, brake lining compounds, resigns, soap, PVC coatings, rubber compounds food dough. 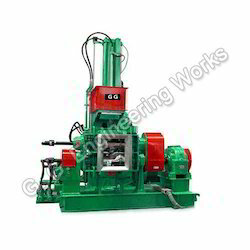 We provide this kneader on diverse specifications as per customer’s requirements.